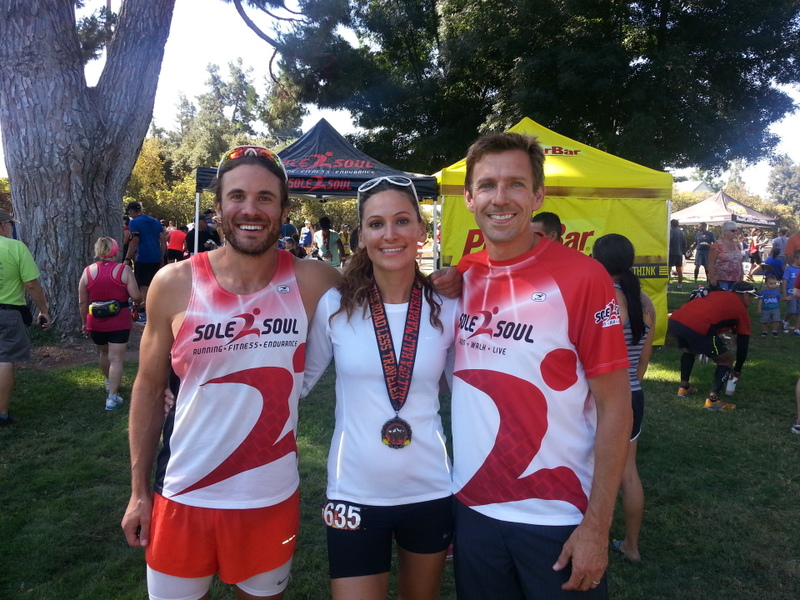 Hell of a Half | Trace B.
Post-race photo of me with D and the RD, Scott Newton from Sole to Soul. Wow, it’s Monday and I am still on a high from this weekend’s races. I went from just having a typical marathon training weekend to all of a sudden racing two half marathons – one road and one trail. Now that this weekend is over, it will be time to focus on my marathon that is only three weeks away.